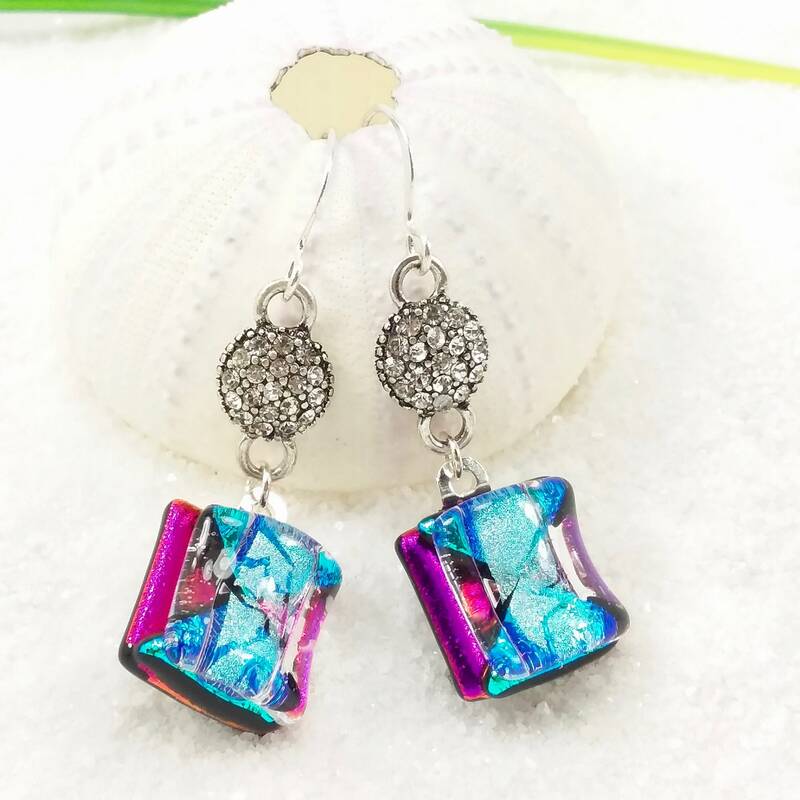 Lively and exotic with colors of hot pink, bright turquoise blue, silver and capped with crystal clear! 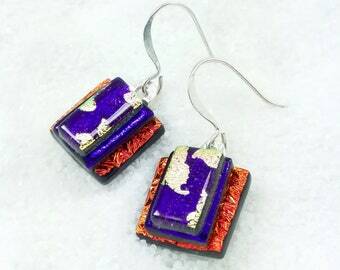 They dangle from silver disks embedded with tiny crystals. They are set with shiny sterling silver plated bails & ear wires! The glass measures 1/2"w X 1/2"h.